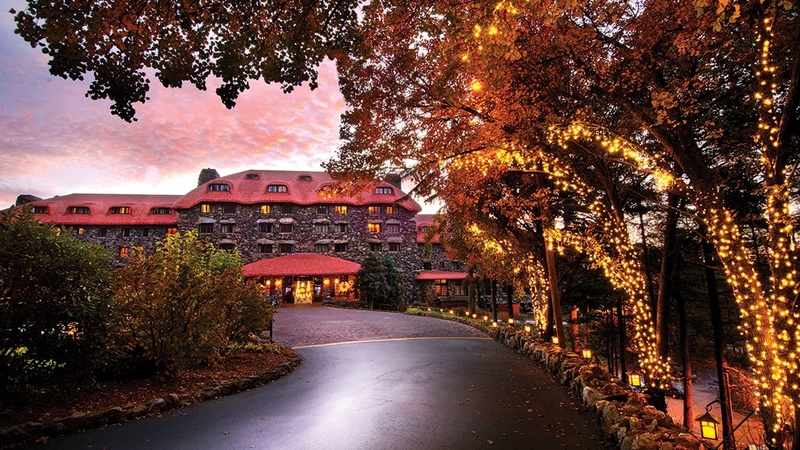 Check out the Omni Grove Park Inn’s 36-foot stone fireplaces and the elevators hidden in the chimneys, four locally-sourced restaurants, and the subterranean spa complete with rock walls, tunnels and water features. Who says there’s no place like home for the holidays? The sparkle of the season also comes from seeing and doing new things. Maybe this is the year to jolly-up your traditions — after all, travel is Santa-approved. You can view the entries from the National Gingerbread Competition — about 150 of them — at Omni Grove Park Inn in Asheville from Nov. 26 through Jan. 4, even if you’re not a guest at the hotel. Photos courtesy OGPI. Fall’s pumpkin spice gives way to full-on gingerbread in the mountains of Asheville, where you’re also most likely to encounter a white Christmas. Asheville is home to the annual National Gingerbread Competition, held at the historic Omni Grove Park Inn. Meghan Morris of Apex placed in the top 10 with her “Nightmare Before Christmas” themed gingerbread entry in 2016, using a “tricky” combo of math and physics. “Before it’s beautiful, it must be sturdy,” she says. 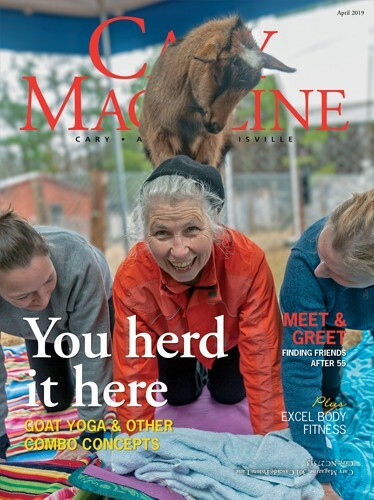 Ann Bailey of Cary is a two-time national champion in the contest, in 2012 and 2014, and is competing again this year in honor of the event’s 25th anniversary. “The judges call out the winners from among the top 10, backward from third to second to grand prize,” said Bailey. 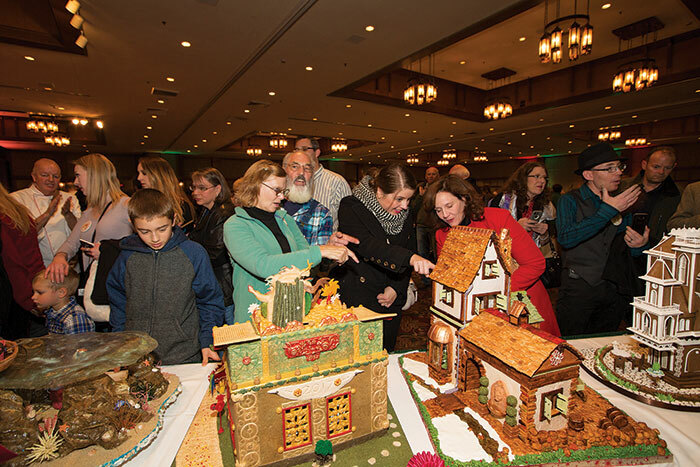 Meghan Morris of Apex grew up visiting Grove Park Inn to view the gingerbread masterpieces, one of her family’s annual holiday traditions. 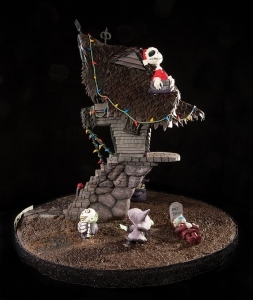 She’s entered the competition each year since age 16, and last year landed in the adult division’s top 10 with her “Nightmare Before Christmas” themed entry. “It’s so much fun. That’s why I keep coming back,” said Morris, now 21 and a college junior, majoring in biochemistry. “And I still return to see all of the entries after the competition, displayed all over the hotel. They’re incredible, unlike anything I’ve ever seen. Morris has been working on her latest entry since July, with a science theme. She’s learning about blown sugar and experimenting with techniques to create faux granite. You can view the gingerbread masterpieces — about 150 of them — at Grove Park Inn from Nov. 26 through Jan. 4, even if you’re not a guest at the hotel. 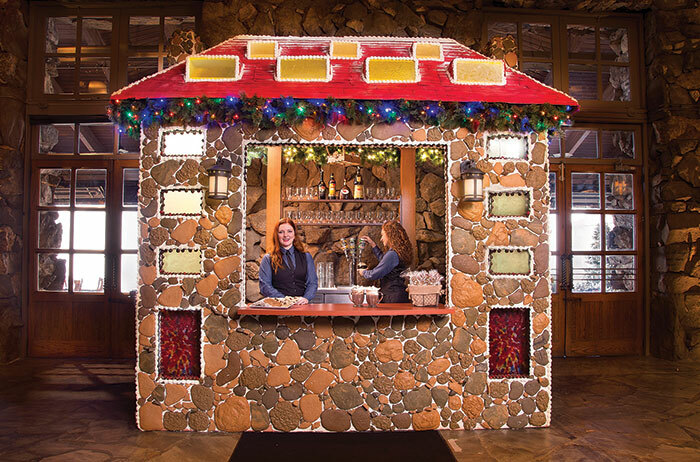 The Great Gingerbread House is a 10.5×10.5-foot-replica of the inn made from more than 1,500 pounds of edible goods, from which staff serve house-made hot cocoa. Build your own yummy holiday house, for Cary’s seventh annual Gingerbread House Competition! The deadline to register is Nov. 22; houses must be completed by Dec. 1 and will be displayed in Downtown Cary businesses on Saturday, Dec. 2, during the town’s Heart of the Holidays Celebration. Then, view the winners Dec. 5-15 at the Cary Arts Center. The works are constructed of at least 75 percent gingerbread, with all-edible ornamentation, and are judged by a panel of culinary and arts professionals on appearance, originality, difficulty, precision and theme. “The top 10 winners in each category will be integrated into our holiday décor,” added Johnston-Crum. “The remaining entries will be displayed on Level 7 of the Vanderbilt Wing, and at the Grove Arcade in downtown Asheville. We’ll also be showcasing a holiday tree decorated with ornaments submitted by past gingerbread competitors. “The entries are genuine works of art, and you can lose yourself in the intricate detail and beauty of some of the pieces,” she said. 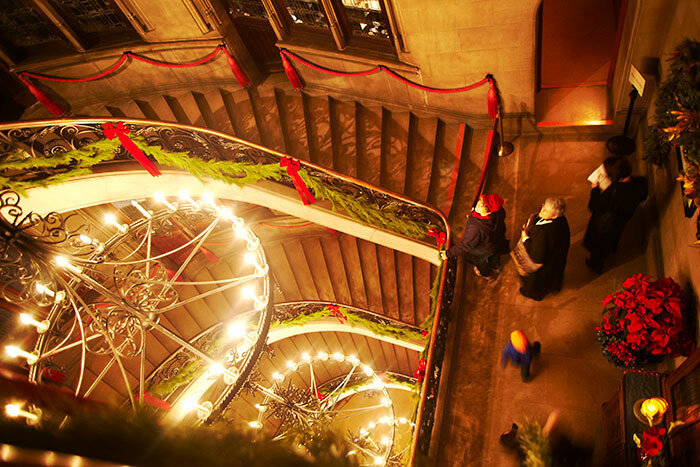 Biltmore House sparkles with 30,000 twinkling lights reflecting in thousands of ornaments, while literal miles of garland accent every corner including the Grand Staircase. Photos courtesy the Biltmore Company. Dozens of evergreen trees bearing thousands of ornaments and miles of lights, ribbons and fresh garlands mark the extravagant celebration happening at Biltmore through Jan. 7. It’s a time travel of sorts, to the holiday ways of George Vanderbilt and family, who first opened their new home to guests on Christmas Eve 1895. 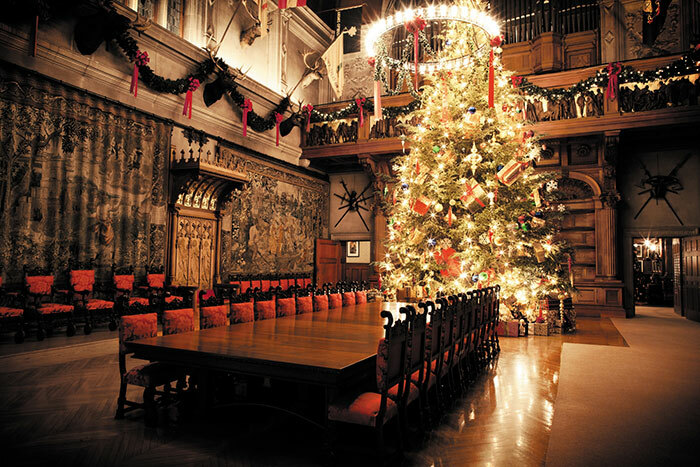 Biltmore House is filled with Christmas trees, with the centerpiece being the Banquet Hall’s 35-foot Fraser fir. 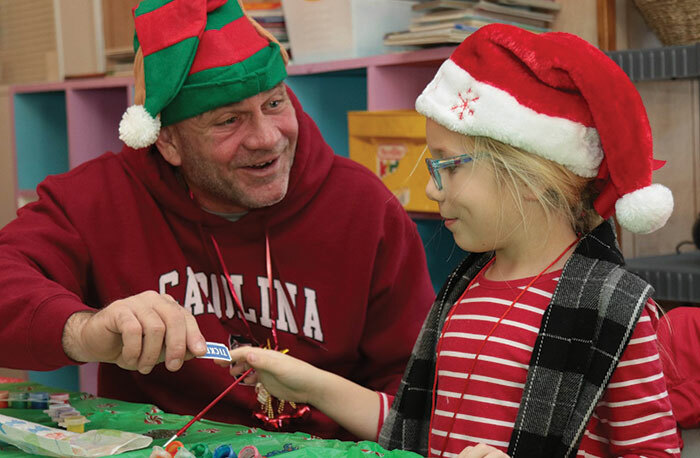 Whether you go as a day trip or as a bed-and-breakfast overnighter, the Celebration of Seagrove Potters is a great way to “fire up” your holiday season. Join the Seagrove potters this season for their annual Holiday Open House. The self-guided pottery tour includes decorations, refreshments and a hearty dose of holiday cheer as visitors stroll through the Seagrove community. Photo courtesy DiscoverSeagrove.com. 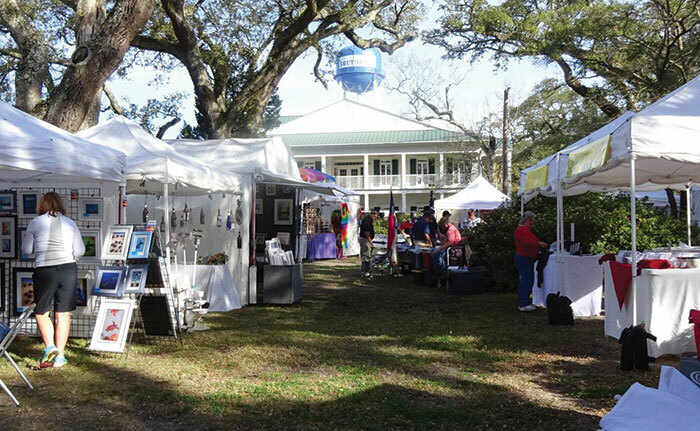 Beyond shops, Seagrove is a vision of sugar plums offering the opportunity to stroll this historic area home to the country’s largest concentration of working potters, for behind the scenes interactions with the artists who create one-of-a-kind pieces from functional to folk. 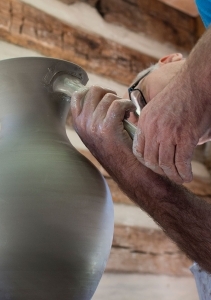 Running Nov. 17-19, the Celebration of Seagrove Potters begins with a gala and auction on Friday evening featuring a 15-piece live jazz band, followed by a weekend of the Potters’ Market complete with food trucks, artisan demonstrations, children’s activities, silent auction and beer garden. The Winter Craft Festival on the lawn of Fort Johnston Garrison in Southport. Photos courtesy southportnc.org. 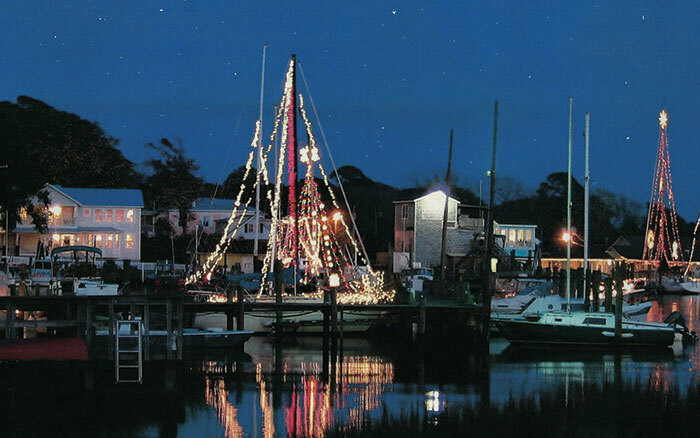 Southport WinterFest includes all of the above and then some, meaning you won’t miss a thing if you hang your mistletoe in this town known as the backdrop to more than 40 movies and TV shows, where the Cape Fear River meets the Atlantic. 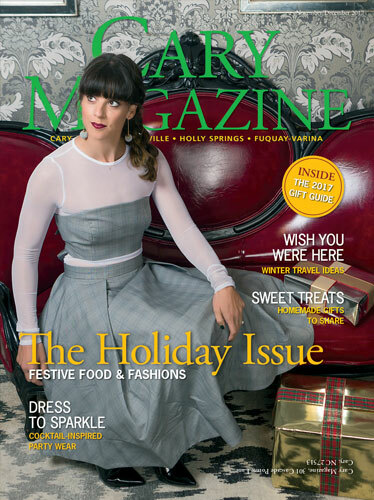 “Festivities are centered in historic downtown Southport and kick off with ‘Christmas in Song’ at the Amuzu Theatre (circa 1912) on December 1, and continue with events for all ages through December 10,” said Karen Rife, marketing chair for Downtown Southport Inc. Learn about Colonial holiday traditions — and the storm that almost stole Christmas — during free costumed tours at the North Carolina Maritime Museum. Supper with Santa’s elves and a holiday cookie contest are fun for the kids. Take the kids to Supper with Santa’s Elves and the annual Holiday Cookie Contest, or drop in at the Nutcracker Tea Party. WinterFest’s final festive Saturday, Dec. 9, offers the chance to grab handmade and homegrown gifts at the Winter Craft Festival on the lawn of Fort Johnston Garrison, overlooking the river. If the name alone doesn’t put you in the spirit … you may be a Scrooge! 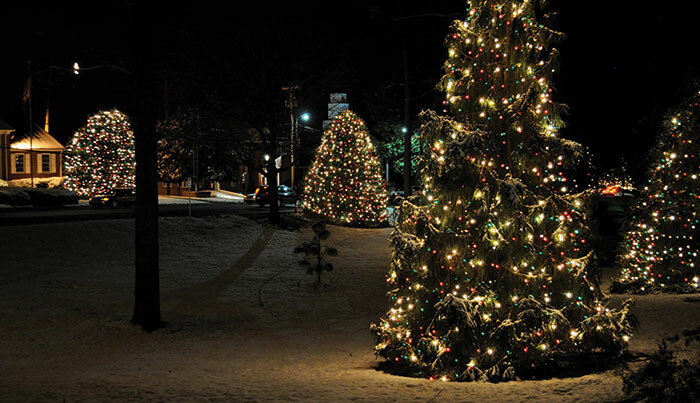 Nearly 400 trees and many homes are lit with red, white and green lights. Nearly 600,000 visitors each year walk along the wreath-lined route through the center of McAdenville, N.C. Photo courtesy mcadenvillenc.com.